Another Sudden Strike 4 General’s Handbook is made available to us. This time it introduces the German forces. We will see in the video the producer of Sudden Strike 4 Christian Schlütter. He introduces some of the German artillery like the Tiger I E a Heavy Tank, different variants of the Panzer IV which are medium tanks, the Panther A also a medium tank, the Jagdpanzer a tank destroyer, the Panzerwerfer 42 a multiple rocket launcher, the Wirbelwind and Anti-Aircraft gun, the Opel Blitz a supply vehicle. You will also see in the video the missions that are available in the game one of which is the Battle of the Bulge of December 1944 and a few others. Schlütter also discusses some of the settings in the game. Like the ‘morale’ setting, if the squad’s morale is high, then they will continue to fight even though they only have a few units. If their morale is low they will easily give up. 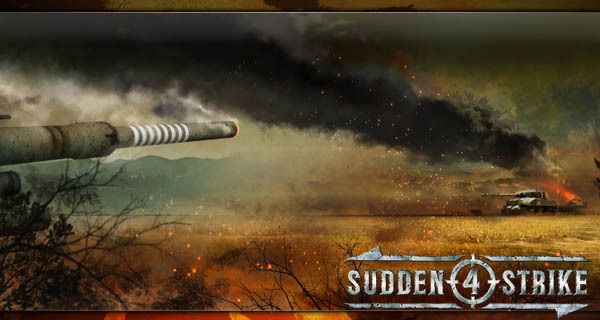 Sudden Strike 4 is a legendary, tactical real-time strategy game that brings players to a historically authentic World War 2 experience. 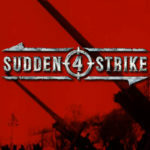 Sudden Strike 4 launches for PC and PlayStation 4 on August 11 for Europe and August 15 in North America. Watch New Sudden Strike 4 Gameplay Trailer for PlayStation 4 A Sudden Strike 4 gameplay trailer was released for the PlayStation 4 get to watch that here!